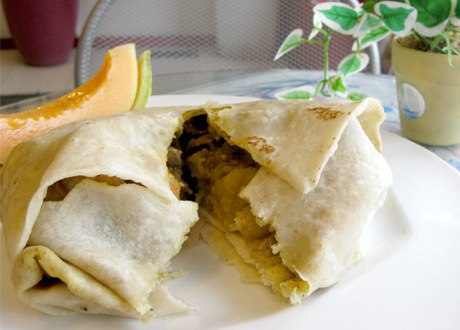 Rehanah’s Roti: A tasty traditional touch, from the Caribbean. Oh wow! This is so so so good! Thank goodness I didn’t order the hot version as the medium- spiced roti is currently setting a “delightful fire” inside my mouth. I’m not sure what I really expected, but as this is a Trinidadian restaurant, of course hot is going to be HOT!! Rehanaha’s Roti is just that,— a small restaurant on St. John Street in Port Moody selling Roti by a lady called Rehanah. Roti is a wrap (somewhere between a crepe and an Indian Naan bread) filled with Caribbean curry. I had the goat and shrimp with potatoes. Really simple and really delicious. Rehanah is a darling, a middle aged lady who bubbles with personality. From behind the counter she talks and jokes with the different customers, referring to them by name, who obviously frequent the restaurant on a regular basis. People often talk about those small and simple restaurants that are very basic but sell and serve exceptional food. Well this is one of those places. In the photo above you will notice the plastic flower that sits deadless on every table. There are pictures of famous people from the Caribbean global community, signed and sitting proud on the walls. But the interior aside, the food and service is not tacky. In fact it’s quite the opposite, it is fresh and tasty. While I was there two friends enter to order food. From the conversation I learn that the Asian gentleman is a regular and it is his friend’s first time. They order their roti as spicy as they can make it. A Trinidadian lady next to me gasps and probably fears for the young men’s lives (remember hot is HOT). As the place only accepts cash the Asian guy asks his friend to loan him some money. His friend is surprised that the roti is as much as $10 each,– he obviously hasn’t tasted the amazing food at this point. Oh, how he’ll soon understand. mmm, that looks really good!